Guildhall Press, Derry, 2010, xxvi + 302 pp. 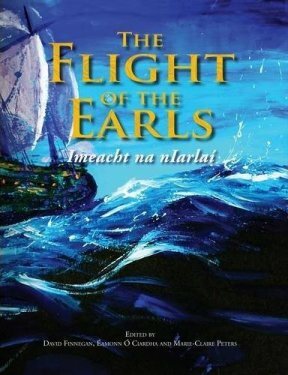 The Flight of the Earls/Imeacht na nIarlaí remains one of the most poignant and intriguing episodes in Irish history. As with much of Ireland’s past, it has been remembered differently by various political and religious communities. Until recently, its focus has been very much centred upon the records of the Dublin administration, but the essays in this volume offer far greater analysis of the native Irish and European contexts. This book can be bought directly from the publishers on-line. "Vincent Morley's exploration of 'the way in which the earls were remembered in the eighteenth century' ... stands side by side with Tadhg Ó hAnnracháin's account of the survival of the Catholic church in Ulster in the early seventeenth century as a model brief essay." James Kelly, Studia Hibernica, 38 (2012).